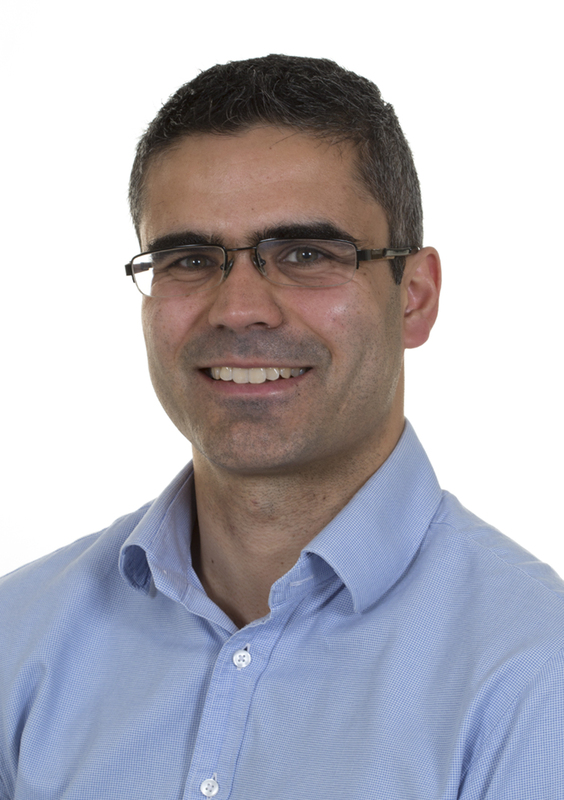 Dr Francis Mussai is a Clinical Senior Lecturer with a strong research interest in exploring the immunosuppressive microenvironment generated by paediatric malignancies. Clinical Senior Lecturer, Institute of Immunology and Immunotherapy, College of Medical and Dental Sciences, University of Birmingham. Dr Francis Mussai is a Clinical Senior Lecturer in Paediatric Oncology in the Institute of Immunology and Immunotherapy. His research is focused on understanding the interaction between adult and paediatric cancers and the immune system. In particular his group is interested in how cancers alter metabolism or induce immunosuppressive myeloid cells such as myeloid-derived suppressor cells (MDSCs), to escape from being targeted and killed by patients’ immune cells. Working in conjunction with Dr Carmen De Santo, the group is developing a number of therapeutic approaches ranging from novel drugs to reactivate the immune microenvironment, development of Chimeric-Antigen Receptor T cells (CAR-T) or target cancer metabolism. Clinical trials based on the group’s research are currently underway. Paediatric oncology; neuroblastoma; leukaemia; myeloid derived suppressor cells; immunosuppressive environment, arginine metabolism, CAR-T cells, immunotherapy. Dr Mussai’s research has been funded by Cancer Research UK, the Medical Research Council, the Amber Phillpott Trust, Birmingham Children’s Hospital Research Fund, Children with Cancer, the Stiliyan Petrov Foundation, Niayah’s Fund, Neuroblastoma UK, and generous donation by Friends and Alumni of the University. In addition to his research commitments, Francis is an honorary Paediatric Oncology Consultant at the Birmingham Children’s Hospital. Working with colleagues in the UK and Europe he continues to work on early phase clinical trials of novel therapeutic drugs for paediatric cancers, as well as undertake out-patient clinics and ward rounds of in-patients. He has established a leading international Fellowship programme for doctors from around the world to undergo training in Heamatology-Oncology-Stem Cell Transplant at BCH. De Santo C, Cheng P, Beggs A, Egan S, Bessudo A, Mussai F. Metabolic therapy with PEG-arginase induces a sustained complete remission in immunotherapy-resistant melanoma. J Hematol Oncol. 2018 May 18;11(1):68. doi:10.1186/s13045-018-0612-6. De Santo C, Booth S, Vardon A, Cousins A, Tubb V, Perry T, Noyvert B, Beggs A, Ng M, Halsey C, Kearns P, Cheng P, Mussai F. The arginine metabolome in acute lymphoblastic leukemia can be targeted by the pegylated-recombinant arginase I BCT-100. Int J Cancer. 2018 Apr 1;142(7):1490-1502. doi: 10.1002/ijc.31170. Epub 2017 Dec 26. Mussai F, Egan S, Hunter S, Webber H, Fisher J, Wheat R, McConville C, Sbirkov Y, Wheeler K, Bendle G, Petrie K, Anderson J, Chesler L, De Santo C. Neuroblastoma Arginase Activity Creates an Immunosuppressive Microenvironment That Impairs Autologous and Engineered Immunity. Cancer Res. 2015 Aug1;75(15):3043-53. doi: 10.1158/0008-5472.CAN-14-3443. Epub 2015 Jun 8. Mussai F, Egan S, Higginbotham-Jones J, Perry T, Beggs A, Odintsova E, Loke J, Pratt G, U KP, Lo A, Ng M, Kearns P, Cheng P, De Santo C. Arginine dependence of acute myeloid leukemia blast proliferation: a novel therapeutic target. Blood.2015 Apr 9;125(15):2386-96. doi: 10.1182/blood-2014-09-600643. Epub 2015 Feb 20. Mussai FJ, Yap C, Mitchell C, Kearns P. Challenges of clinical trial design for targeted agents against pediatric leukemias. Front Oncol. 2015 Jan 6;4:374.doi: 10.3389/fonc.2014.00374. eCollection 2014. Review.